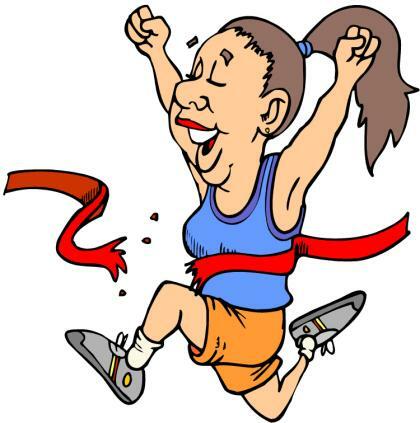 What seems like eons ago, I started the Couch to 5k program because I always hated running. To me, the program was the ultimate challenge both mentally and physically. I told msyelf that once I got through the program, I would never have to run again if I didn’t want to. A strange thing happened. I finished the program. I’ll admit, it took me much longer than nine weeks because some workouts took a few attempts to complete, then I’d take breaks from running. I always came back, though, which surprised even me. I figured I’d surely give up before completing the entire program; that’s what I always did with weight loss or exercise programs. Why was this time going to be any different? Thanks to my “weight loss sisters,” many of whom also completed or are currently doing the program, I stuck with it because I held myself accountable. Whenever I’d be doing one of the workouts, I’d tell myself I HAD to finish because I didn’t want to let them down. Granted, they would have been supportive regardless of what I did with the C25k program, but I told myself I needed to do it for them. Suddenly, this made it easier. I officially finished the last Couch to 5k workout the first week of June, yet I continue to run at least one day per week. I don’t have a gym membership and have found it’s a great way to burn a lot of calories in a short time. I’ve learned that for me, running is more mental than anything else. I’m now capable of running 30-45 minutes without stopping as long as my thoughts stay positive. It still amazes me that the “chubby girl” actually passes other joggers occasionally! I’ve learned that the “runners high” exists and for me, it’s the pride I feel toward myself when I’ve finished a run.